The Adara Group is made up of two parts. The first is a non-profit international development organisation: Adara Development. The second is a private corporate advisory business: Adara Advisors. Adara Development aims to work side by side with women, children and their communities in remote and rural areas to improve their lives. Since we began in 1998, we have touched the lives of more than 100,000 people. Adara Advisors is a business for purpose rather than profit – its sole objective is to fund the non-profit’s administration costs. The unique Adara model allows 100 per cent of all donations received by Adara Development to go directly to project-related costs. The Adara Group also aims to change the way people think about the role of business and the power of business/non-profit partnerships. These pillars guide our three main areas of expertise: maternal infant child health; the care and support for children at risk; and access to quality health and education for remote communities. In the villages of the Nakaseke district of Uganda, where Adara has worked since 1998, many children and their families struggle with the impact of extreme poverty. Around 44% of the district’s population live below the poverty line. Uganda has one of the highest birth rates in the world, so maternal and neonatal health is of great concern to the community. 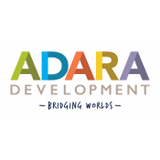 Adara believes the best development projects are led by local people. Our priority in Nakaseke is to improve maternal, infant and children’s health through capacity building, training and programme design with our local partner, Kiwoko Hospital, serving a catchment area of 500,000 people. Our 17 year partnership with Kiwoko Hospital has been critical to our work since the very beginning. The Kiwoko Hospital Neonatal Intensive Care Unit (NICU) is one of Adara’s flagship programs. 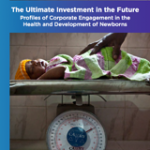 Since it was set up in 2000, we have seen a marked improvement in survival for premature or at-risk infants – today almost five times as many of the smallest infants survive than did in 2005. The NICU is now considered a centre of excellence, with many other non-government organisations looking to develop similar programs. Since we began our neonatal programmes, Adara has supported regular staff training-and-development workshops, provided both locally and through specialists from our international medical volunteer (IMED) programme. Adara has also worked hand in hand with Kiwoko to develop capacity through targeted programme development in the ward, only introducing new programmes and practices when the staff were ready. Adara also ensures the NICU is well equipped with all the necessary equipment, supplies and medications – the tools it requires to offer best practice care, and has provided funding and support for clinical engineers to make sure all equipment is maintained and working. In this way, we have ensured our approach to newborn health is holistic, working to improve all aspects service delivery. Hospital-based birth: More women are choosing to give birth in the hospital. Since Adara supported the design, construction, equipping and staffing of a new maternity ward which opened in 2010, we have seen a 21% increase in annual admissions. Skilled attendants: Midwives or skilled attendants can help avert two thirds of all maternal deaths, provided they are well trained, well equipped and well supported. Adara has worked with Kiwoko Hospital for many years to build capacity in the ward, with IMED teams providing training each year. In 2013–14, this included, not only clinical training but training and mentoring on end-of-life care; ethics; leadership and delegation of authority; and the role of the hospital social worker. Antenatal care (ANC): ANC is critical for identifying complications in pregnancy. It is also an opportunity to promote the need for a skilled attendant at birth and healthy behaviours such as breastfeeding, postnatal care and family planning. More than 10,000 ANC appointments were conducted at the hospital in 2013 and 2014. Access to ANC has also improved through increased outreach services with the community-based healthcare (CBHC) program. Uganda has extremely high birth rates – a woman has an average of 7.1 children in her lifetime. With such large families, it is often impossible for women to travel with all their children to the hospital or health clinic for services such as immunisations or ANC. Adara and Kiwoko Hospital address this through the CBHC Safe Motherhood clinics. These help ensure maternal health care before, during and after birth through an integrated community service, including family planning, antenatal care and postnatal care. Each month 22 one-day clinics are held, and each clinic services two villages at a time. More than 500 clinics were held in 2013 and 2014. 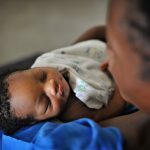 The clinics also address newborn health, ensuring babies are weighed to measure their growth and mothers are provided with health advice on infant follow-up. Babies are immunised, and if the team has any concerns it can refer mothers and infants to the hospital. In 2014, a new phase of the CBHC Safe Motherhood program was introduced to bring the hospital’s maternal and child health expertise to the community and to improve local people’s basic health knowledge and skills. A total of 44 Village Health Trainers (VHTs) were selected from the community and trained to help women in their communities. They recognise early danger signs in pregnancy; encourage women to attend ANC and to seek a skilled attendant when giving birth, and also teach new mothers danger signs in the newborn. 34 clinicians from health centres in the district were also trained in basic maternal and neonatal health interventions. Pregnancy, delivery and newborn services are offered at many health centres, and they are often the first place women seek care. So it is critical the staff at these clinics have a good understanding of maternal and newborn health to help save lives and to refer women to the hospital if complex help is needed. Peripheral IV monitoring: The clinical team has been measuring the number of times peripheral intravenous (IVs) catheters are inserted into neonates in the ward. These IVs are critical for administering fluids, medications and blood transfusions. Babies’ veins are smaller and more fragile than adults’. A premature or sick infant may require multiple cannulations (‘pokes’) during a prolonged stay in the NICU. The clinical team wants to reduce this. The findings from this research will help the team develop an IV training programme on insertion, maintenance and safety checks.